Here's a good news for Overseas Filipino Workers. The new Philippine Overseas Employment Administration (POEA) chief Hans Cacdac promised to streamline operations and fast-track the processing of overseas employment certificates (OEC). OEC is a mandatory document that a overseas contract worker from the Philippines must have. Without which, a worker will not be allowed to leave the country. OEC is not required for those moving to Canada with a permanent residence visa. 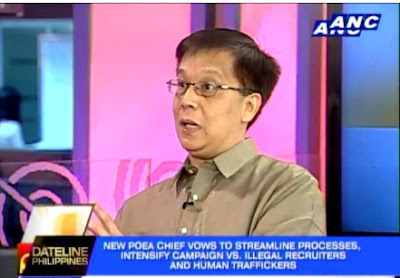 It would be best if POEA will allow online application for OEC, agree?